So, you snore. You have for a while and you want to do something about it. The problem is several options on the market claim they can resolve your issue. But which should you choose? The SnoreRx has always been our favorite and most popular device, but let’s discuss some of the most effective options available to help you determine which is the best anti-snoring appliance for you. Your Age – The older you get, the narrower your throat and nasal passages become. A simple change in your before-bed routines, including throat exercises, may help to reduce snoring. 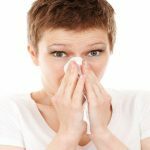 Nasal and Sinus Issues – Having a stuffy nose or blocked airway may cause you to snore when you are sick or experiencing allergies. Bodyweight – Your weight plays a huge role in how well you sleep, and can impact your snoring levels. If your snoring is caused by extra weight, lifestyle changes, such as exercising more and losing weight, may help you to stop snoring. Medication/Alcohol – Consumption of many everyday items may lead to an increase in snoring. Alcohol relaxes muscles, including those in your throat, causing vibrations. Some medications can have the same impact as alcohol, so take only those medications prescribed by your doctor and limit your evening cocktail to one drink early in the evening. Sleep Position – It is common knowledge that your back is the best sleeping position, but that doesn’t mean it is the best for you. Sleeping on your back causes throat muscles to relax and block the airway. Try to sleep on your side if you can. After years of trial and error, I have discovered many effective stop snoring solutions. You may have to experiment with a variety of products to determine which product works for your specific needs. Naturally – Finding a natural solution to stop snoring is often your first option. They are the cheapest and are more readily available. Exercising/losing weight – Even if you aren’t overweight, excess fat may build up around the neck and throat causing snoring. Changing your sleep position – Try changing your sleeping position and keeping track of the results to see which position is most comfortable to you. Throat exercises – There any many tutorials available that can teach you how to exercise your throat muscles, making them stronger and less likely to cause snoring. Even singing in the shower helps! Use of natural bedding – Natural and dust-mite resistant bedding and pillows help eliminate allergies that may keep you up at night. Essential oils – Using a humidifier with an option for essential oils will keep your throat from getting too dry and prevent nasal passages from swelling. Mouthpieces – The mouthpiece is arguably the most successful and used snoring aid on the market. Mouthpieces have been around for years and are proven to help eliminate snoring. They are often fitted by a dentist, and work by either stabilizing your jaw, pushing your jaw slightly forward, and/or depressing your tongue. Zyppah is a popular device, as is zQuiet. Although most have been through lab trials to back up their claims, make sure to check out my mouthpiece reviews before settling on one. Chin Straps – Chin straps, like mouthpieces, have a high success rate. Chin straps stabilize your jaw by wrapping under your chin, keeping it stabilized, then around the top or back of your head. The most common side-effect being some discomfort, as some might move/slip while sleeping. CPAP – CPAP, or continuous positive airway pressure, comes in different varieties, with an over-the-face mask being the most common. A CPAP machine increases air pressure in your throat, preventing airway collapse. The effectiveness of this device is unrivaled, but may also be uncomfortable. The biggest complaint from users is discomfort with initial use. Bedding – You may not be sleeping alone. Allergens and mites may be causing your throat and nasal passages to swell, leading to snoring. This option may seem foreign to you, but more recently, there have been advancements in natural bedding that act as a snoring aid. Bedding that is made of natural, hypoallergenic materials aid in snoring relief related to allergies. Research the type of bedding you choose, as not all work as well as others. Another bedding option is anti-snoring pillows. Pillows attempt to position your head in a way to promote sleep and prevent snoring. Experience shows that pillows typically help, but are not a one-stop solution to stopping snoring. Snoring affects many people. However, our understanding of snoring and the causes has increased over the years, producing a broad range of anti-snoring products. With a market flooded with options designed to stop snoring or alleviate sleep apnea symptoms, you may feel overwhelmed, but with some basic research, you can find the cause of your snoring, and easily find a solution that works for you.